« Olé » ! The French DJ-producer John Revox entertained dancefloors worldwide in 2008 with this anthem (released by Airplay/Universal Music), from France to Japan, Spain to Indonesia, Turkey, Russia, Romania, Portugal or the Maghreb countries. Ranked #3 of the Beatport Top 100 charts, used as a soundtrack of TV shows and events worldwide, and after 7 consecutive weeks in the French top charts, the unexpected success of this hit song permitted him to play in the biggest clubs and festivals around the world, beside well-known global artists, where he proposed a real show with his DJ and percussionist assets, and a real sharp Electro-House programming. Besides his real live performer status, John appears like a superior-quality DJ-producer. Loyal partner of Quentin Mosimann (John Louly) from 2007 he founded the band Hot Vocation with (and Christian Sims), their tracks « Holiday », « Hot Vocation » and « Tears » have been a lot playlisted and broadcast on the radios, and allowed each of them to play in every French club, with the band or on their own, especially in the French Riviera they all come from. From 2010 he produced the hit « Conga » (cover of Gloria Estefan) which was in the international charts and is even quoted by Gloria Estefan herself. Some bomb tracks followed like « Feria », « Funky Rythm », « Oxygen », « Tweex », « Luv’ Train » (featuring Brian Lucas). 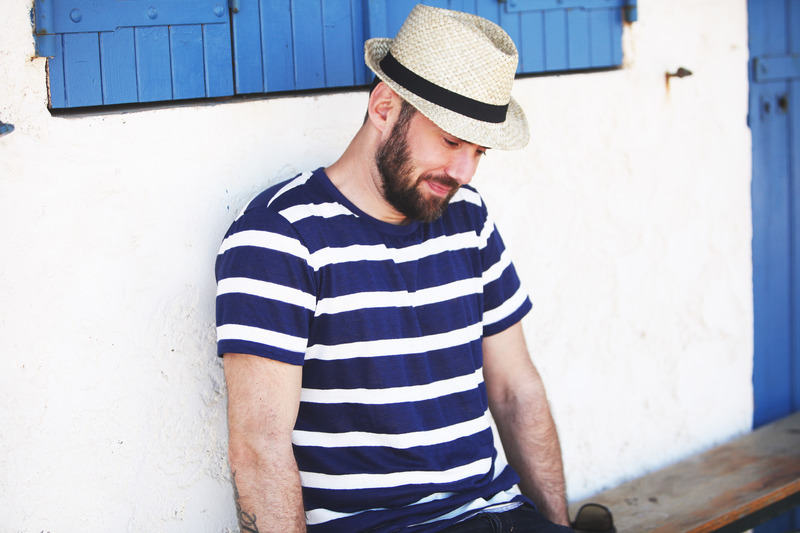 In 2012 he decided to create his own label Breaklub Records to enjoy some musical eclecticism and wave between EDM and Tech-House style: “Kanaga”, “Oh my God”, “Freak It”, “Ametist”, “Move” and his latest single featuring Max’C “Love, Peace and Happiness”, representing the nice and funny man John is. The music video was broadcast on most of the French musical TV channels (MCM, M6 Music…). In 2014, one of his tracks became a huge hit in Turkey: more than 350’000 views on Youtube, Top20 iTunes and Top20 Shazam for weeks, playlisted by the biggest EDM Turkish radios like Metro or Radio 1, used as a synchro for a blockbuster, “Freak It” broke records. House and EDM music, percussions, sharing with the audience, this is the original John Revox you want to appreciate on his DJ sets. This former resident from Saint-Tropez will perfectly understand your expectations to entertain you.